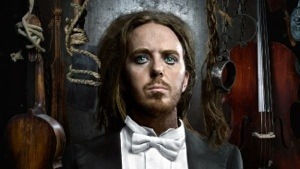 TIm Minchin is a leading composer, lyricist, actor, writer and comedian. He is ‘spectacularly’ not a Nobel laureate, yet has been chosen to write the forward to the collection of ‘The Best Australian Science Writing 2013’. He rejects the view that there is a conflict between art and science. “Great science writing is the art of communicating that ”awe of understanding”, so that we readers can revel in the beauty of a deeper knowledge of our world. If the entire volume is as good as the foreword, it will be a great read. Flight Attendant: Sir, I’m going to have to ask that you turn off your cellular phone. 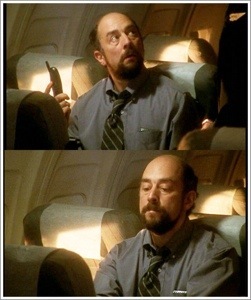 Toby Ziegler: We’re flying in a Lockheed Eagle Series L-1011. Came off the line twenty months ago. Carries a Sim-5 transponder tracking system. And you’re telling me I can still flummox this thing with something I bought at Radio Shack? No longer do we risk bringing down a $300 million A380 and it’s 800 passengers by listening to Jack Johnson during take off. It’s Soduku all the way to the terminal. In a press release today the US FAA announced that it is safe to use our iPods, iPhones and iPads (or all at once) at all times during a flight. Currently, airlines insist that electronic devices are all turned off until 20 minutes after take off and for what seems like an eternity before landing. We can now reveal that this has always been a strategy to force us into reading their inflight magazines. I accept the airlines’ apologies.